There is something very special that has always drawn me to the Grouse family. Photographically they are very rewarding as they are simply stunning, but for me it’s so much more than that - they just make me smile. I always think that photography is a reflection of your moods and I certainly take very different images when I’m in a good mood as opposed to when I am having an epic melt down! I took my last Red Grouse a year ago and they have languished unedited and unloved in my files ever since. You may think that this is strange, given that pictures are my business? Well the simple truth is that my life has become much busier in the past year and it’s taken me until now to get a handle on it. My daughter of course has had a lot to do with it. It’s awesome being a Dad and I’m adapting my life to be here at home as much as possible. But I’ve also been really prolific in the past year, with aviation now taking up as much time as wildlife, so inevitably some collections will slip. 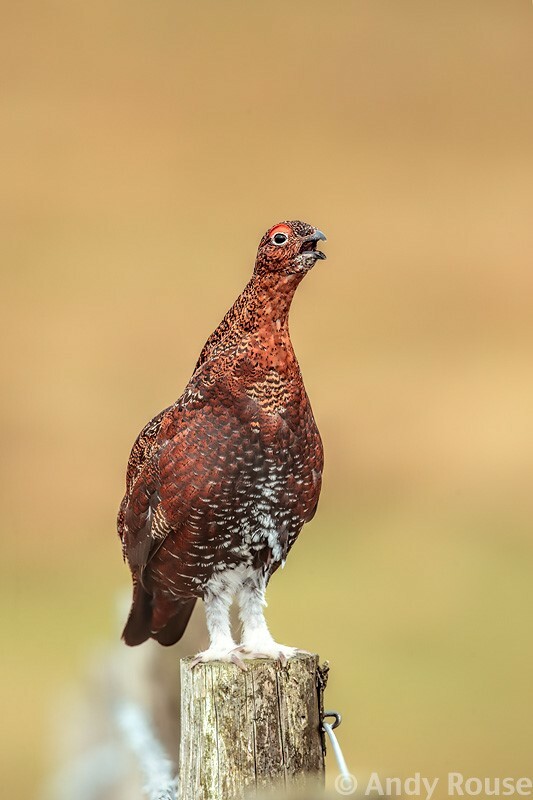 Luckily it’s Red Grouse season coming up, because the heather is in bloom, and several FotoBuzz members have asked me for some hints and tips on photographing them. This in turn has forced me to process my most recent Red Grouse images, as I much prefer to show new images than live off the past. I like the image because it is very simple, shot deliberately to use as a cover for a magazine in the vertical format, AF point right over the eye. The sun wasn’t out but that was cool, as I much prefer cloudy diffuse conditions for portraits as it allows us to pull out more detail without fighting with the shadows. It’s also doing something, which with grouse is often vital. One interesting point with this image is the processing. Shooting this with the Canon EOS-1D X, I would usually have loaded it into ACR / Photoshop to process the raw. But using the EOS-1D X Mark II has seen me change to using the FREE Canon supplied Digital Photo Professional 4. Note the 4 at the end, other versions are available but please only download the latest version here. I have found that the converted RAW from version 4 has beautiful colours and really balanced noise / sharpness, much better than any other software I use, so I have decided to standardise now on using DPP 4.0 for all my raw conversions. Certainly the 1D X produced a wonderful file here that is really punchy and well coloured. Proof that we should always re-evaluate our workflow and adapt to the best software for the job rather than just our favourites. I will be back soon with part 2 of the aviation favourites plus the details of our amazing EOS-1D X II Winners weekend in Scotland.